Become familiar with the expected risks in Masset and the surrounding areas. Information on potential risks can be obtained from the Village of Masset. Discuss with all members of your family the potential emergencies and how these incidents may affect you and your family. It is important for you and your family to create an emergency plan so that everyone knows what to do in the event of an emergency or disaster. It is recommended that the entire family be involved in the plan. Create a separate plan for when everyone is at home as well as when the family is apart. Also include family members who don’t live with you like elderly grandparents. Consult with members of the school board, retirement homes, or other facilities used by your family to become aware of their protocol in the event of an emergency. The memorization and documentation of basic family information such as phone numbers, family names, addresses, and emergency contacts can make it easier for families to be reunited in emergency situations. A Grab-and-Go Kit is an emergency kit in an easy to carry bag that is located somewhere close to an exit within your home. This kit is designed to be accessible in the event of an emergency that involves evacuating your home quickly. Be sure to inform all family members where the Grab-and-Go bag is located and designate a family member to be in charge of taking the kit when evacuating the house. Suggested Grab-and-Go Kit Contents to be posted shortly. The Basic Emergency Kit will include enough supplies to sustain you and your family for the first 72 hours and up to 7 days. Suggested Basic Emergency Kit Contents to be posted shortly. It is important that all family members know the location of all emergency kits and how to access them in the event of an emergency or disaster. Following these basic steps will increase your families’ chances of survival when facing emergency or disastrous situations. Information on this site was borrowed from the following websites - please feel free to browse further for more information. 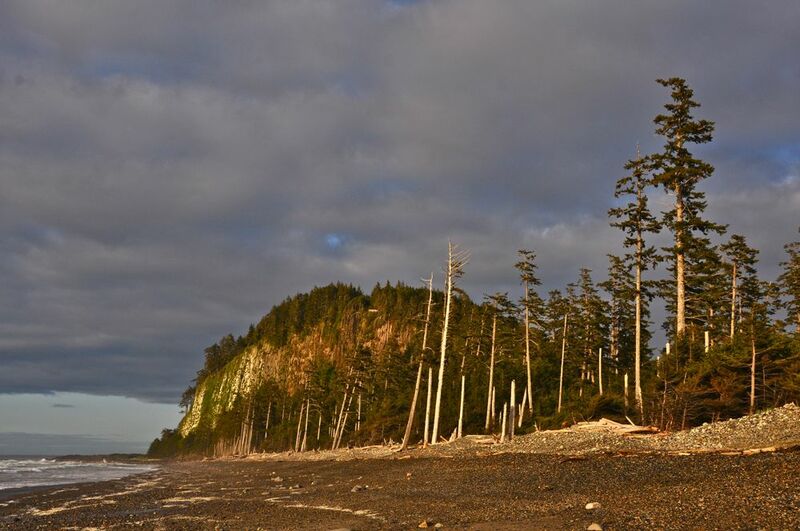 Masset lies in a very siesmically active area and is close to the epicentre of Canada's 2 largest recorded earthquakes. There was no loss of life during either of these events and with your planning and preparation the next event can also be as benign. 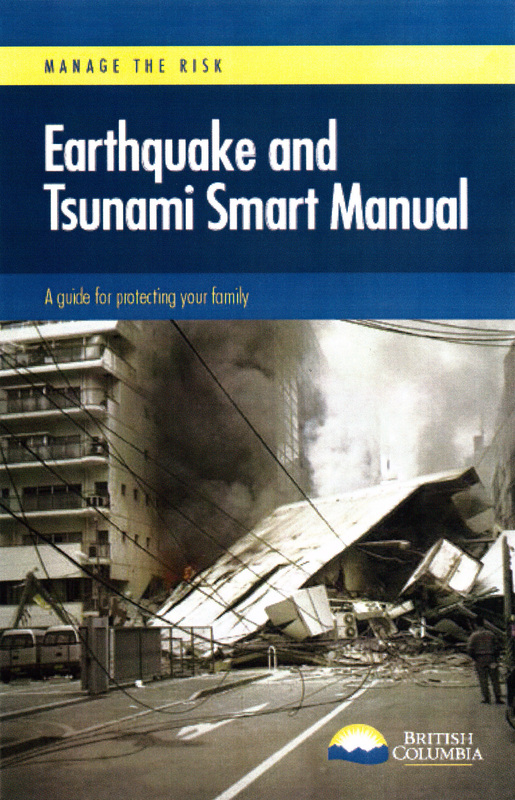 The below manual contains important general information about what to do before during and after a seismic event. We strongly encourage you to download and review this information. In the event that an Evacuation is deemed necessary residents are requested to follow the Emergency Evacuation route south along Highway #16 following the directions of Emergency Service Personel which may include RCMP, FIRE DEPARTMENT, VILLAGE STAFF, CANADIAN RANGERS or other COMMUNITY GROUPS. When possible the Village of Masset will issue an evacuation order to its residents however; IF YOU EXPERIENCE A STRONG EARTHQUAKE WHICH LASTS FOR MORE THAN A MINUTE, DO NOT WAIT FOR AN EVACUATION ORDER, GATHER YOUR EMERGENCY KIT AND LEAVE IMMEDIATLY ALONG THE DESIGNATED ROUTE. Notice will be made via this website, twitter, emergency siren, MHTV notice or other methods as appropriate. The emergency gathering location is 13km south of the Masset Causeway. DO NOT STOP ALONG THE ROADWAY OR AT THE TOP OF DEEP CREEK HILL. This area is designated as a command post and will be needed clear by emergency personel. Please proceede all the way to the indentified location following the posted tsunami evacuation route signs in a safe and orderly manner. WHAT TO DO IF YOU DON'T DRIVE OR CAN'T DRIVE TO SAFETY. Residents are strongly encouraged to make plans and back up plans to ensure their safe evacuation in the event of an emergency. There is nothing that will replace a prior arranged plan with neighbours, friends or family. In the event that all plans fail procede to Howard Philips Hall on Collison Ave across from GM Dawson High School. It is requested that other residents evacuating with space available pick-up anyone at this site waiting for assistance. ePACT is also used to safely collect and store critical information to aid in an emergency, including if families have special requirements. ePACT meets Provincial and Federal privacy legislation, meeting the same standards as online banks, to ensure that your information is safe and secure. Families always own their own accounts and the information stored in them, and you decide when and who to share that information with. Information is never shared without your permission.